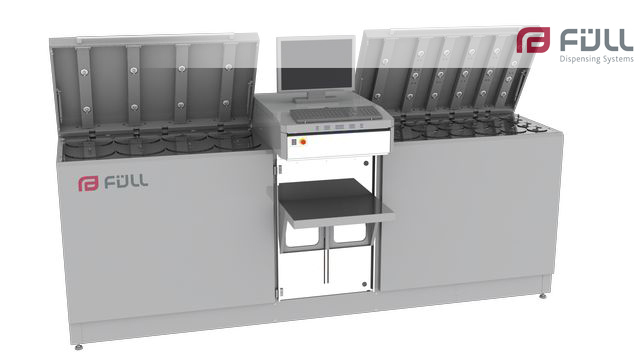 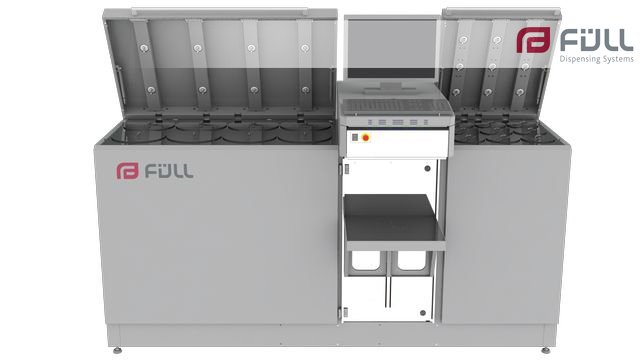 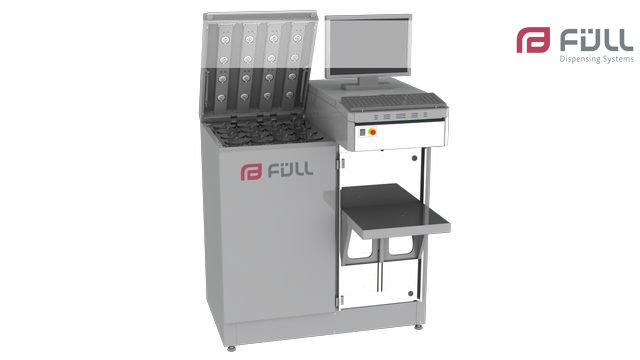 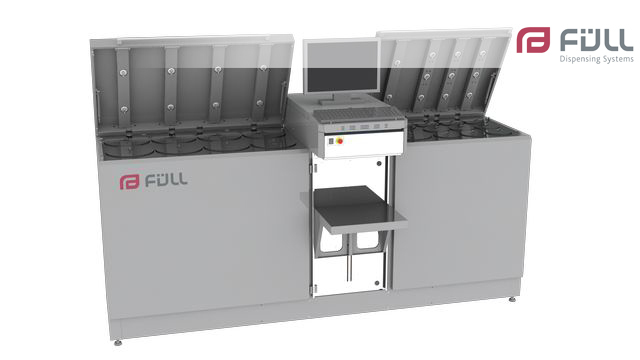 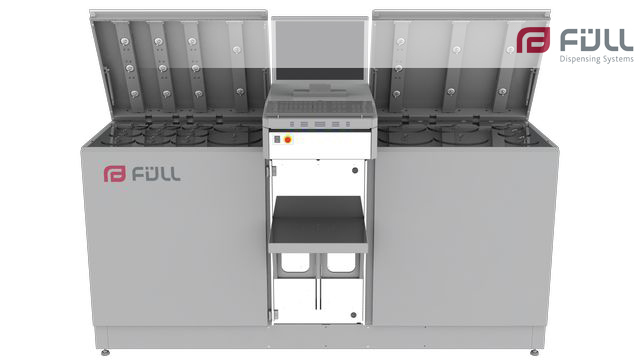 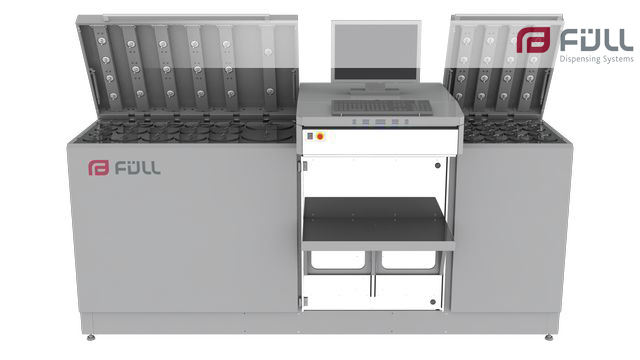 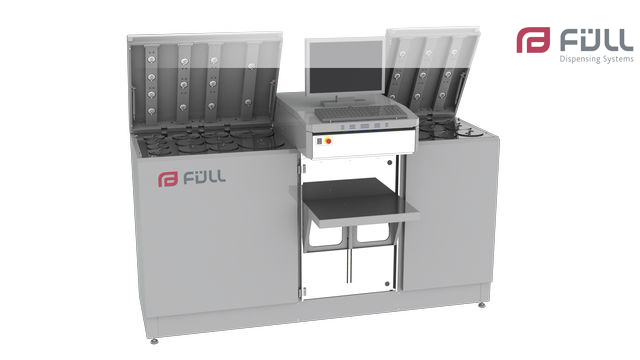 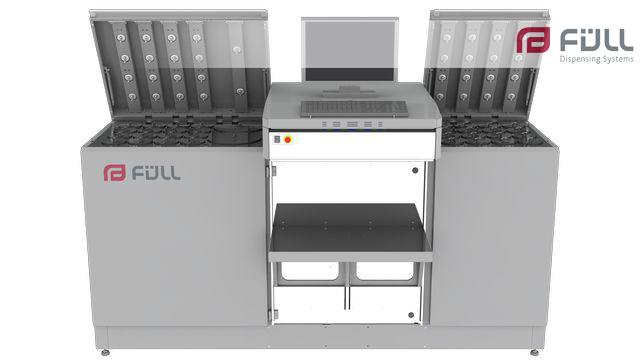 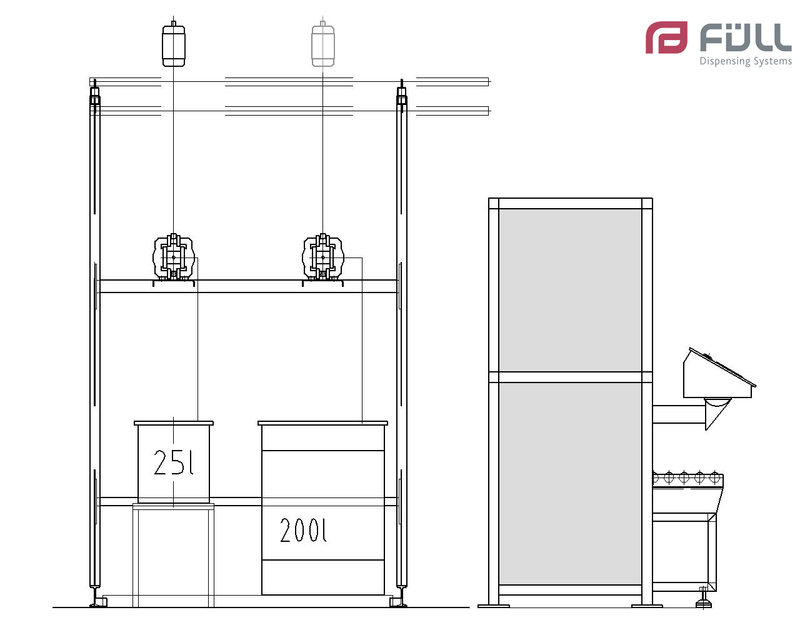 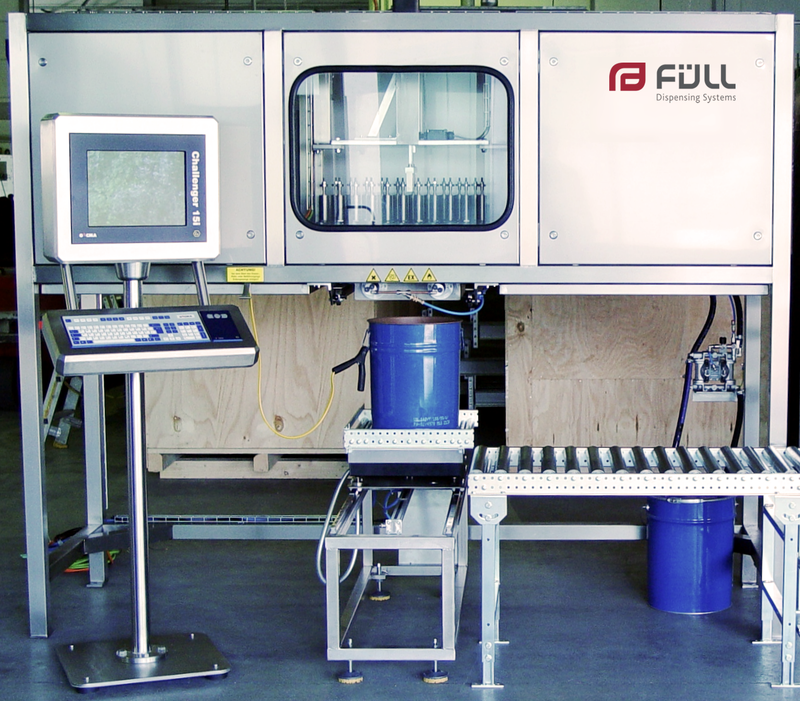 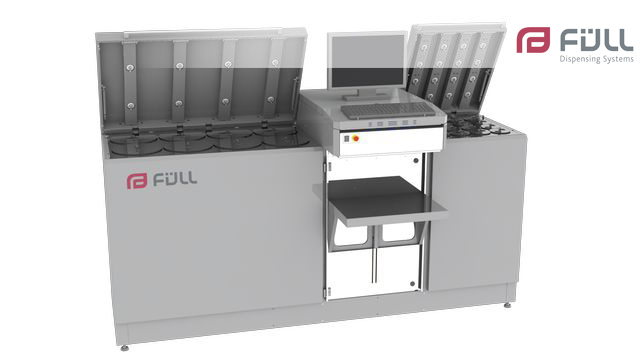 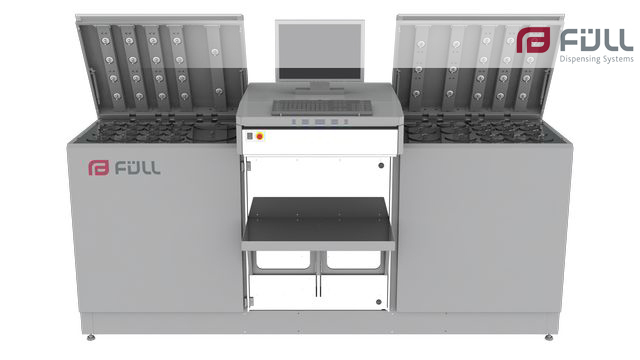 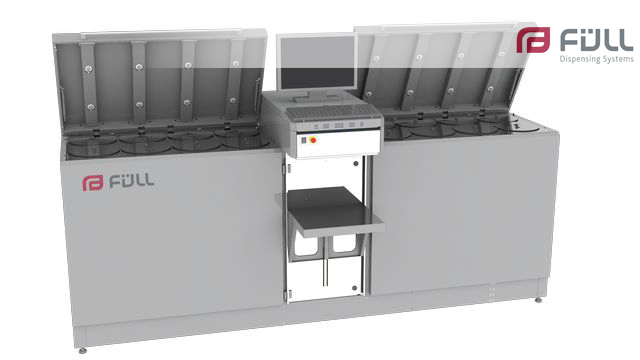 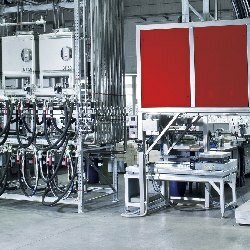 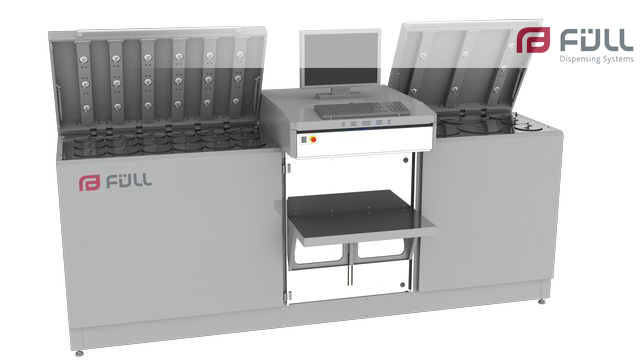 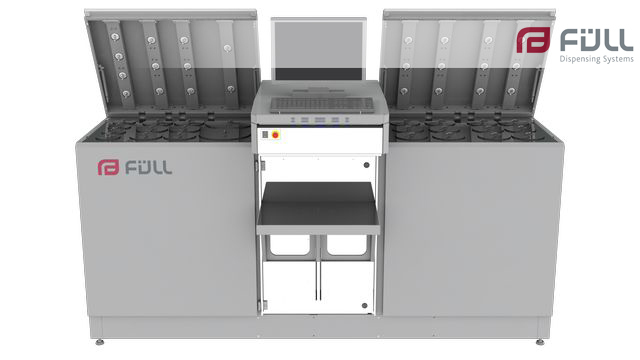 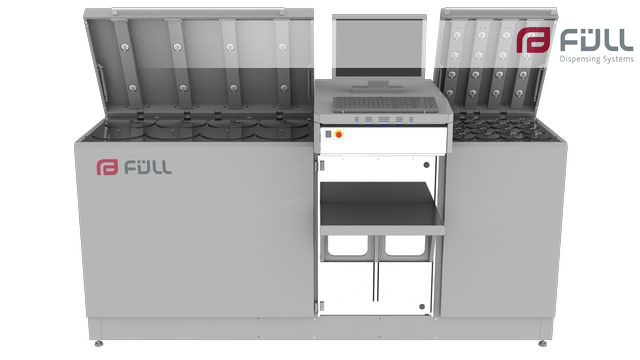 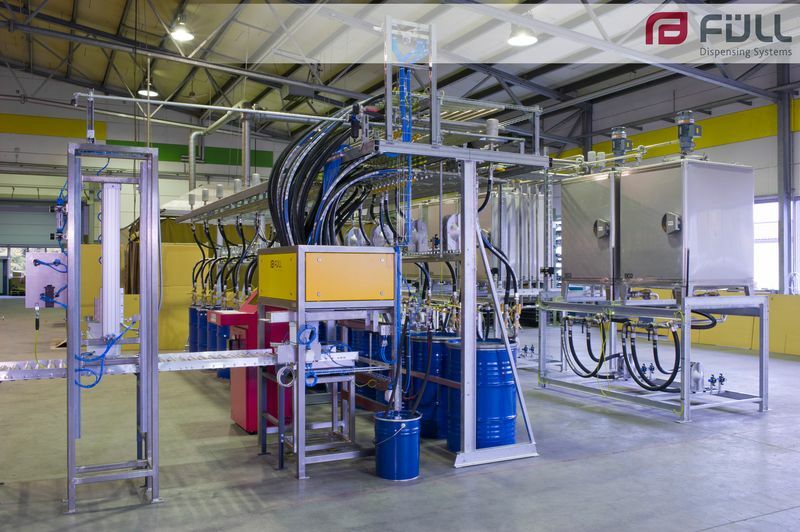 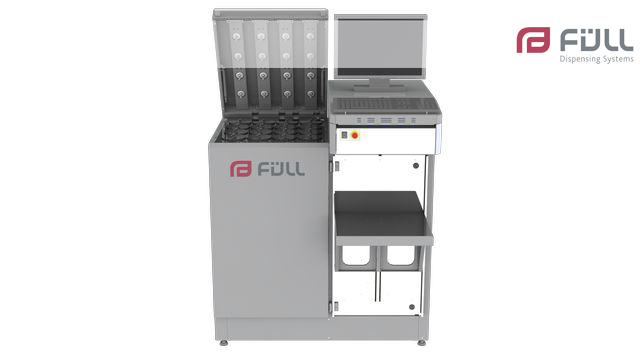 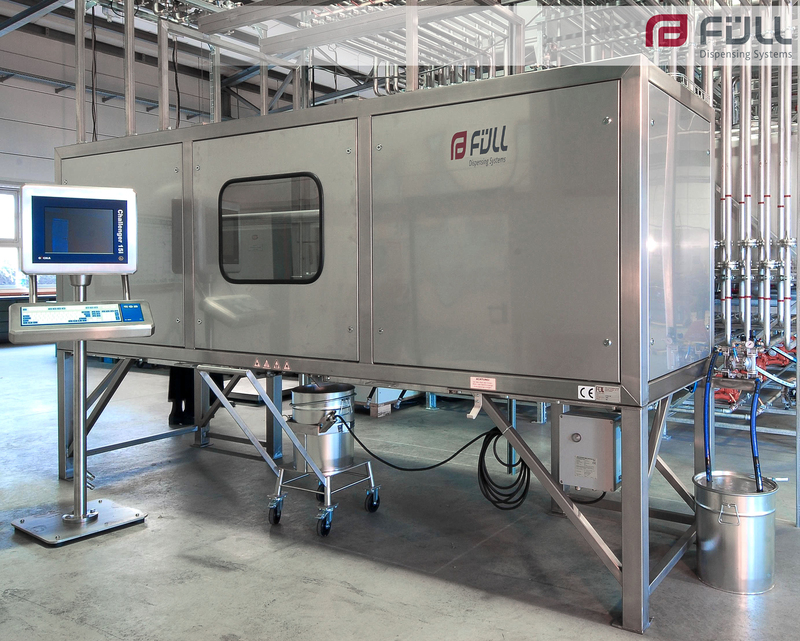 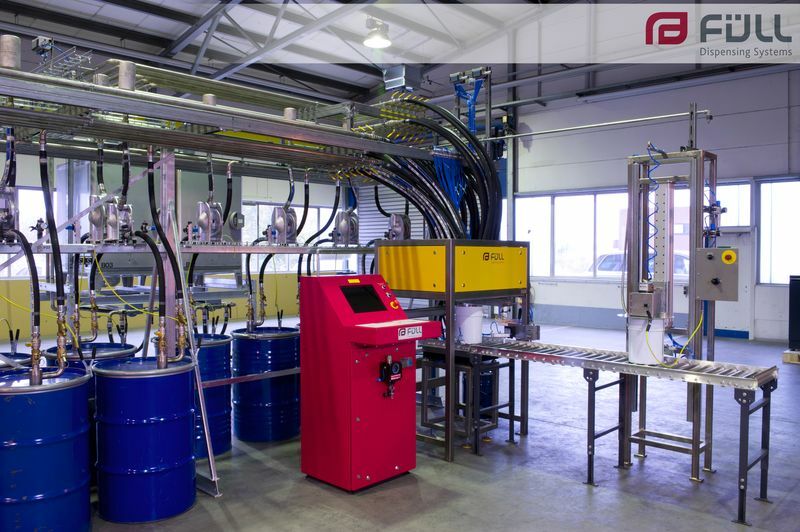 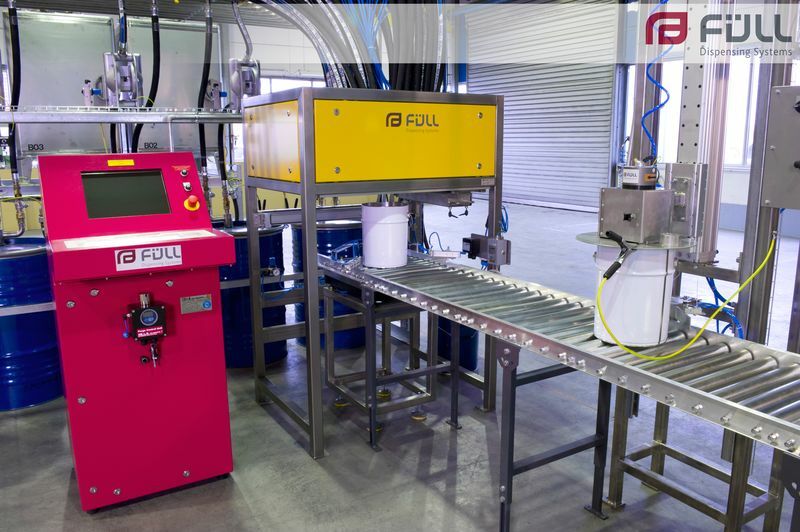 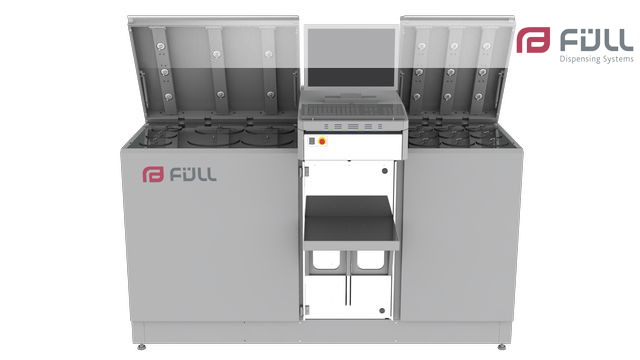 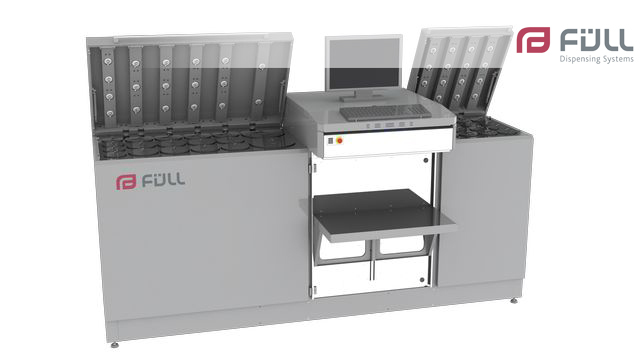 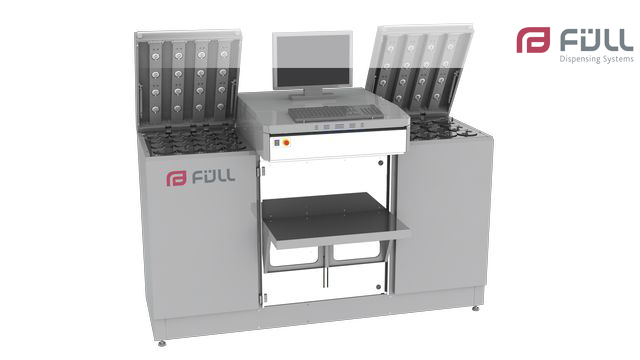 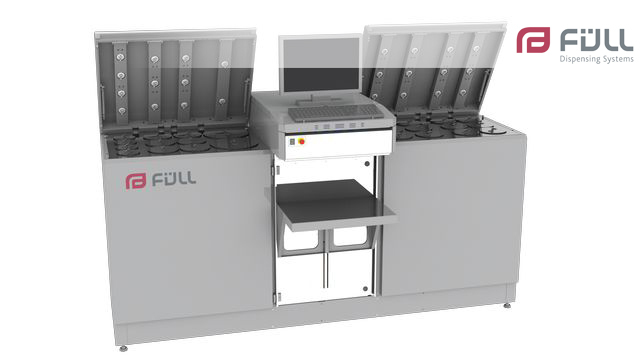 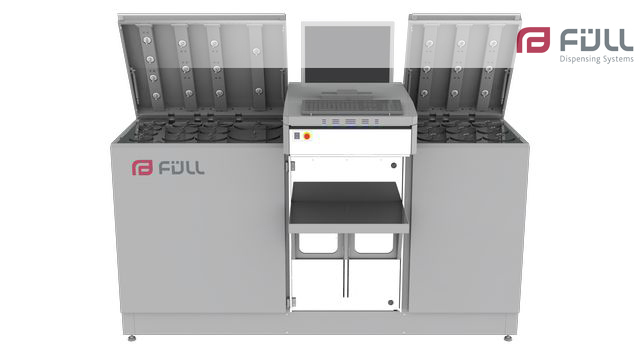 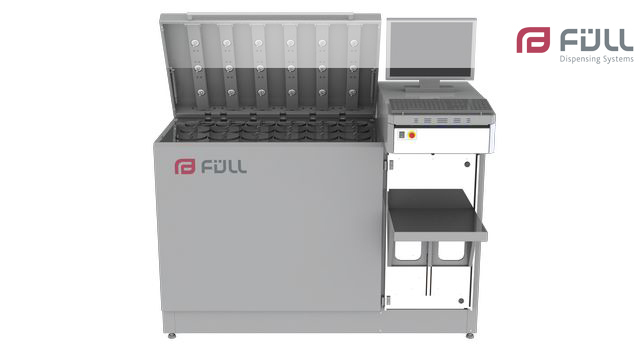 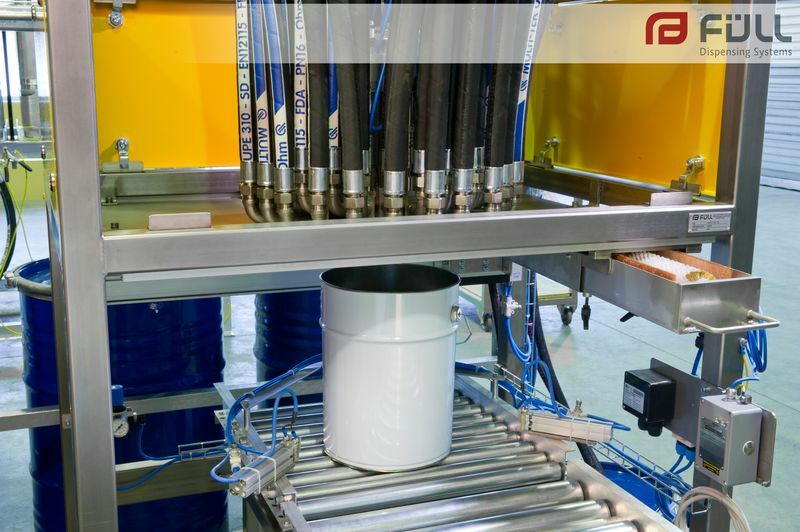 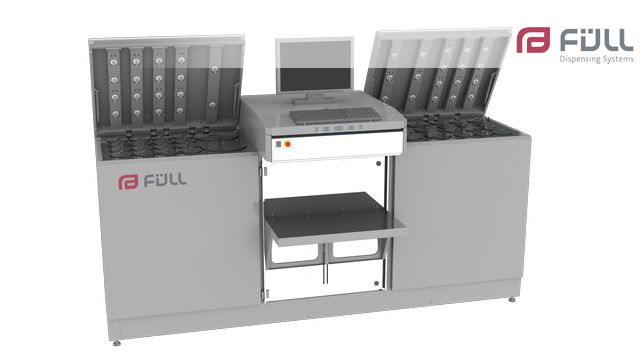 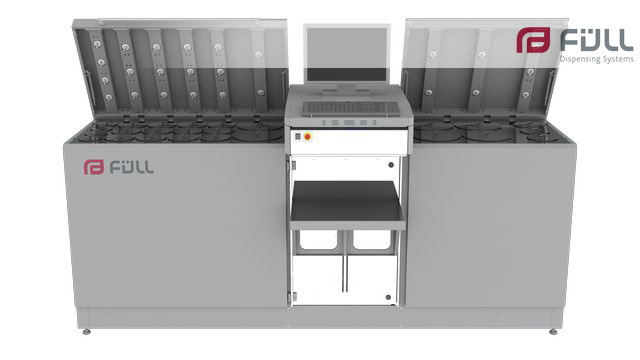 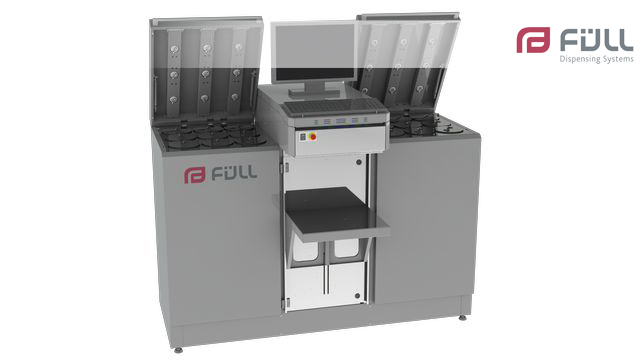 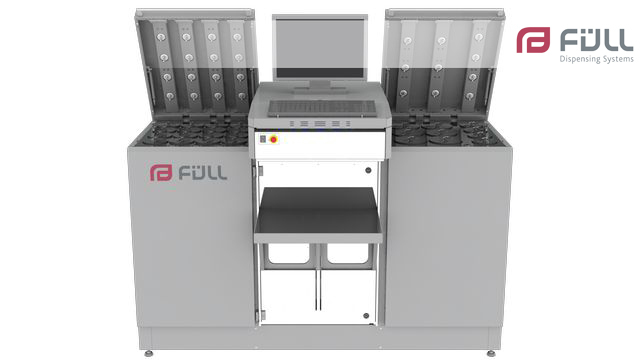 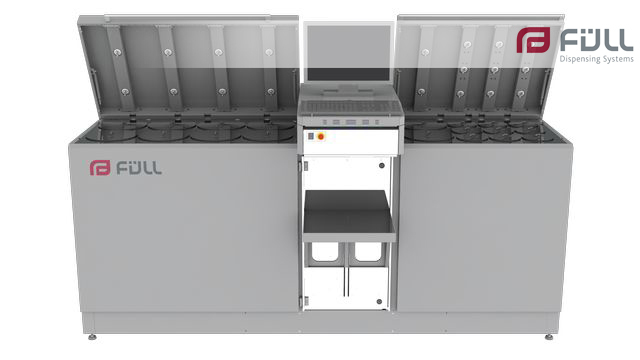 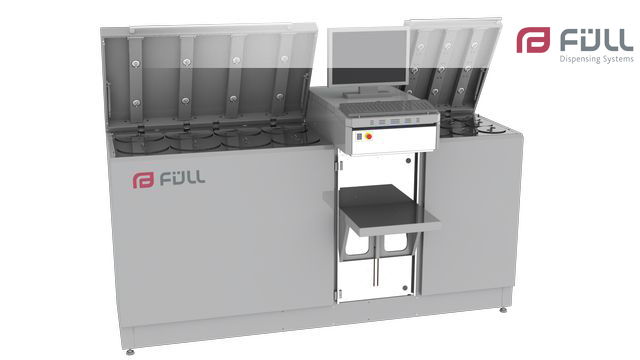 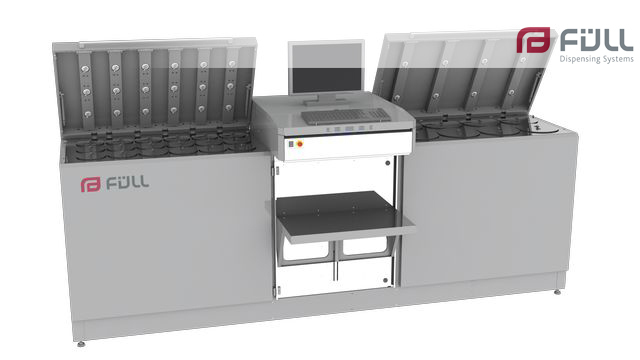 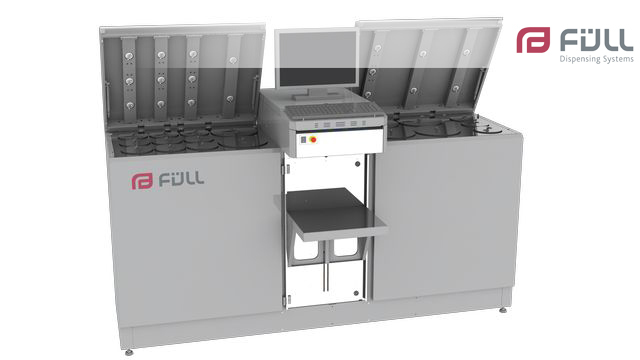 Automatic FÜLL dispensing systems provide highest reproducibility for each individual formulation component in each desired quantity resp. 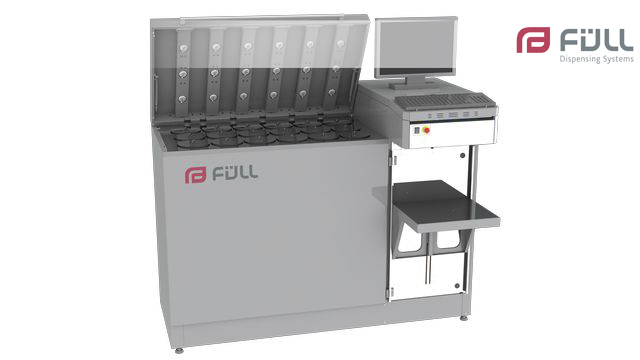 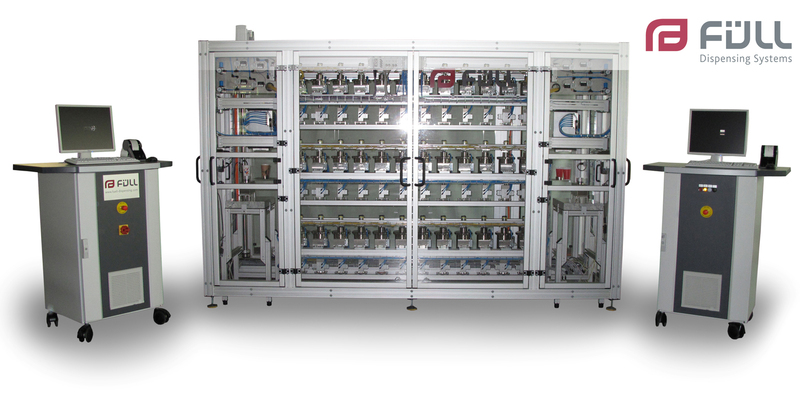 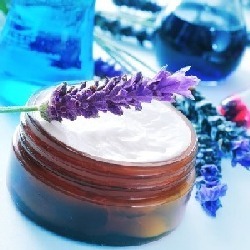 each formulation in shortest dispensing times. 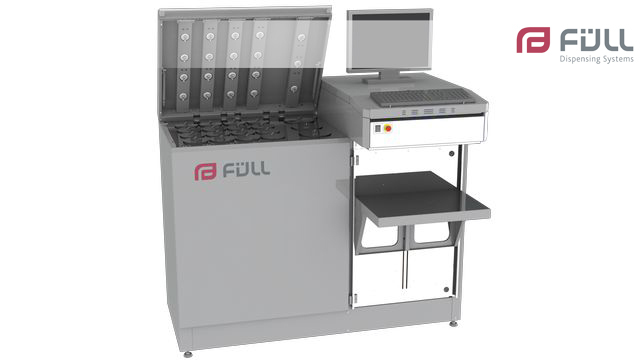 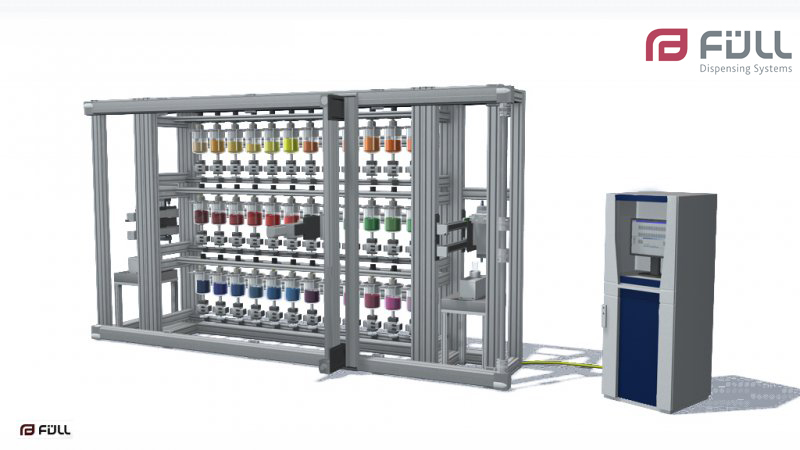 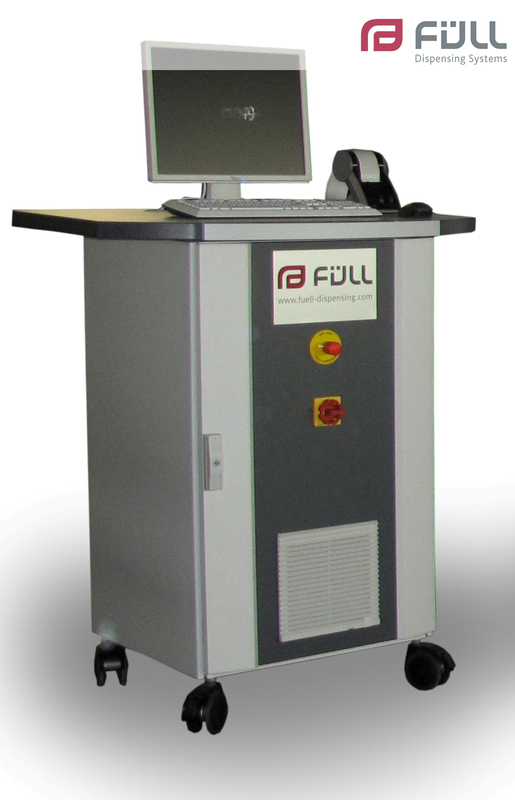 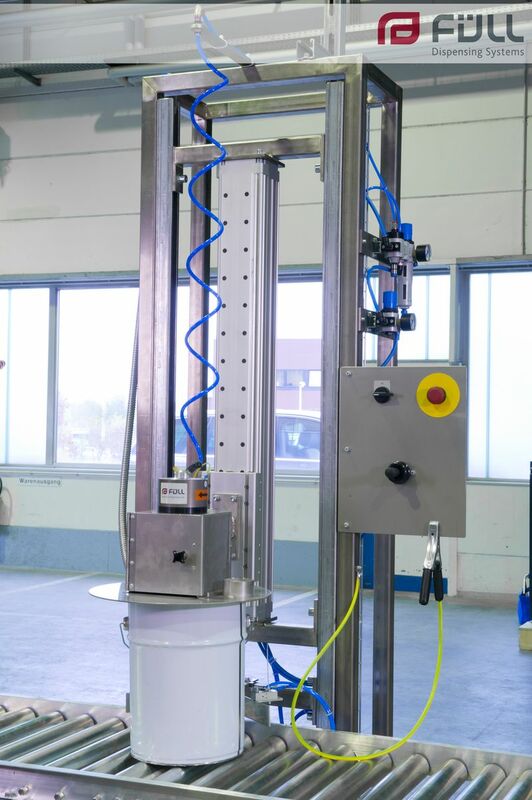 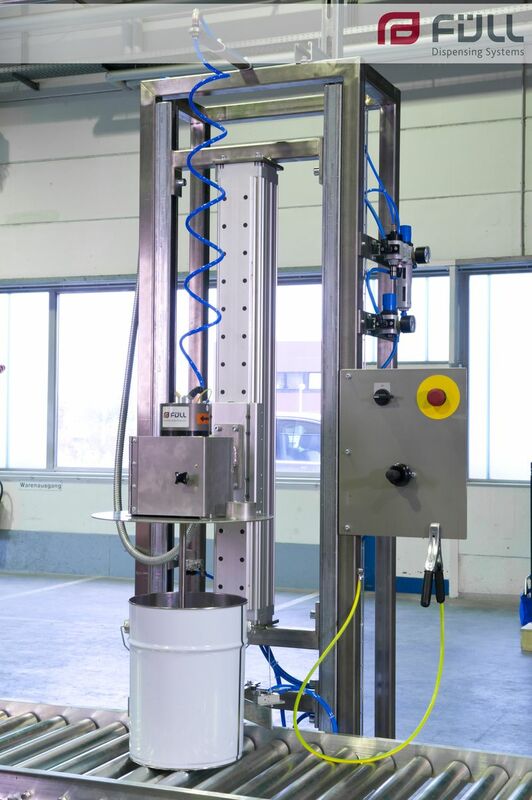 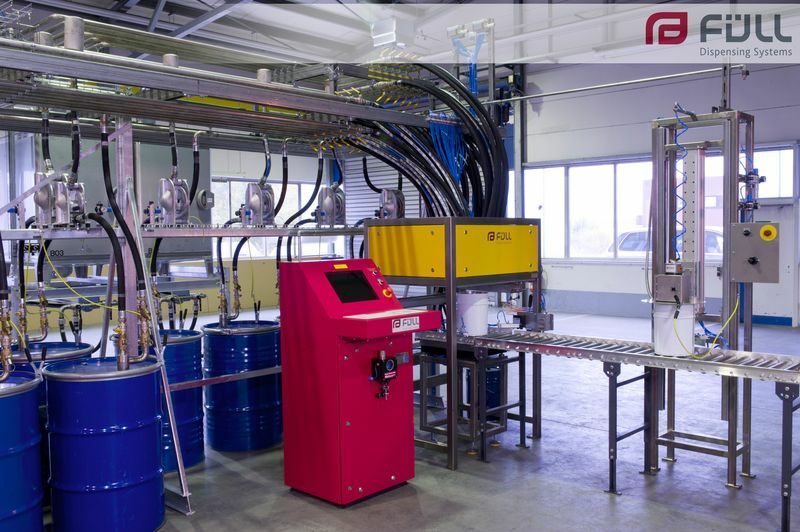 The FS XS is our smallest fully automatic dispensing system and suitable for hazardous- and non-hazardous environments. 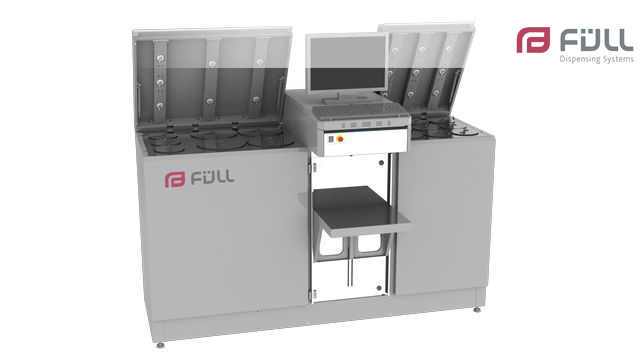 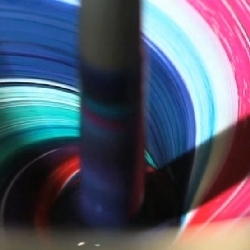 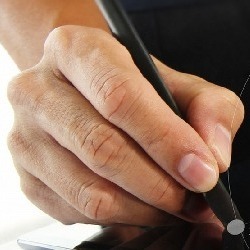 As cost-affective option it has been developed for low to medium users of ink who do not want to cut back on quality and traceability. 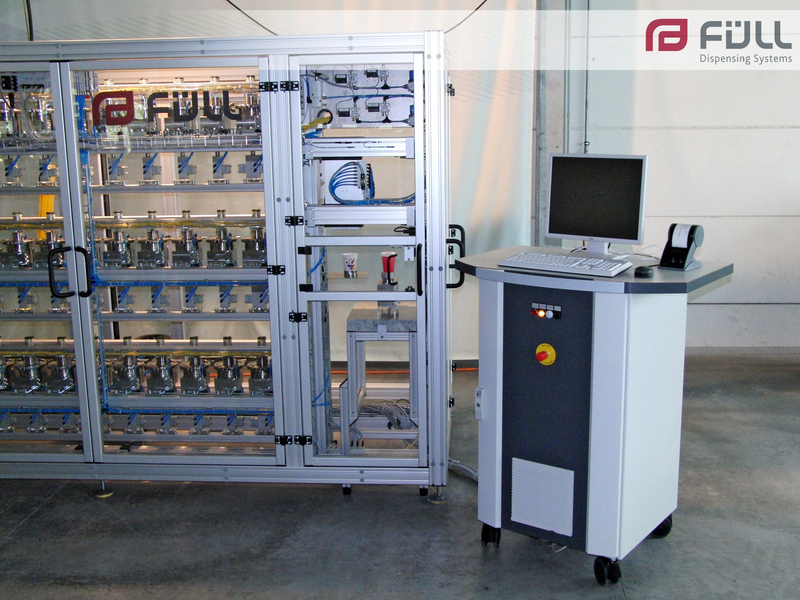 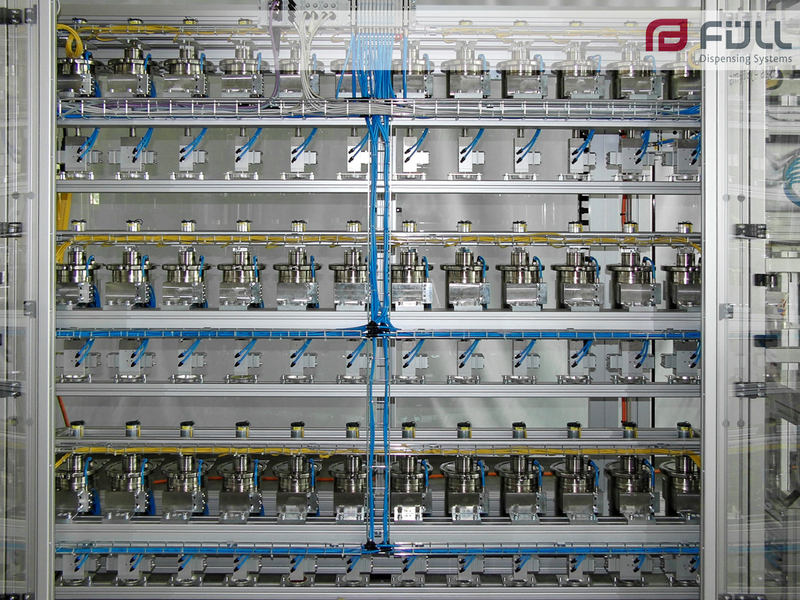 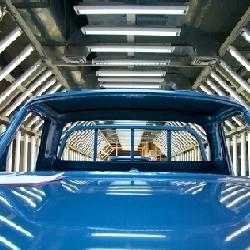 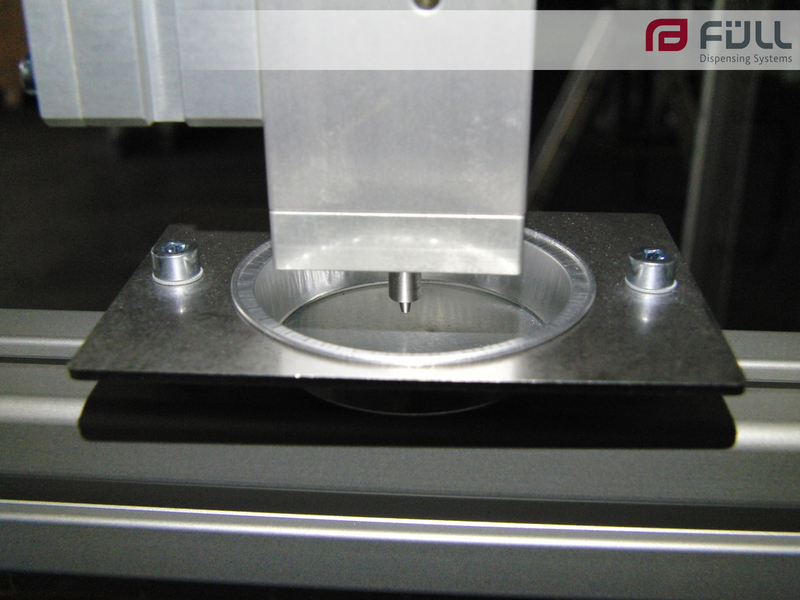 The FS XS is suitable for water-, solvent- and UV-based components. 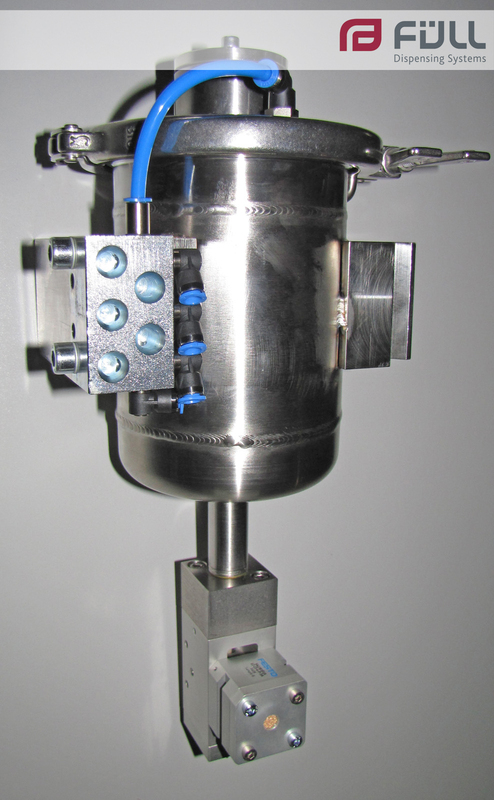 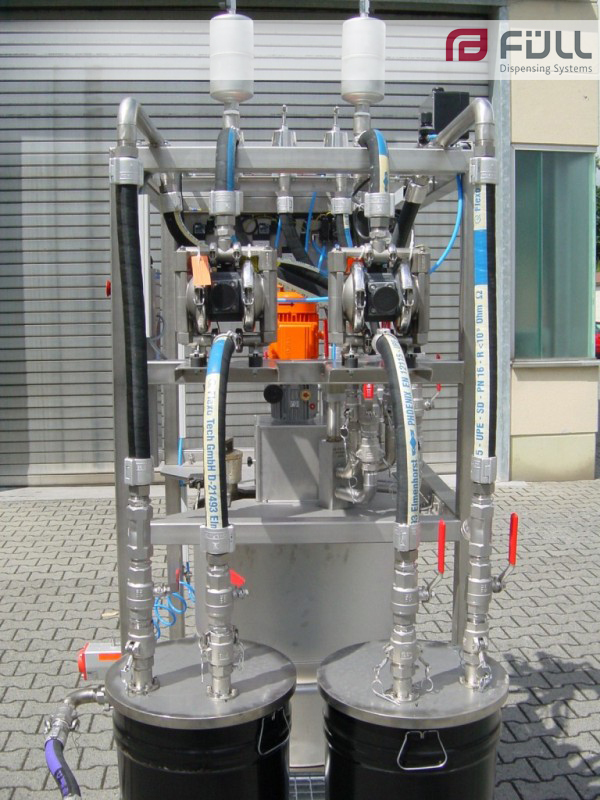 All components are recirculated through the valve in order to avoid sedimentation. 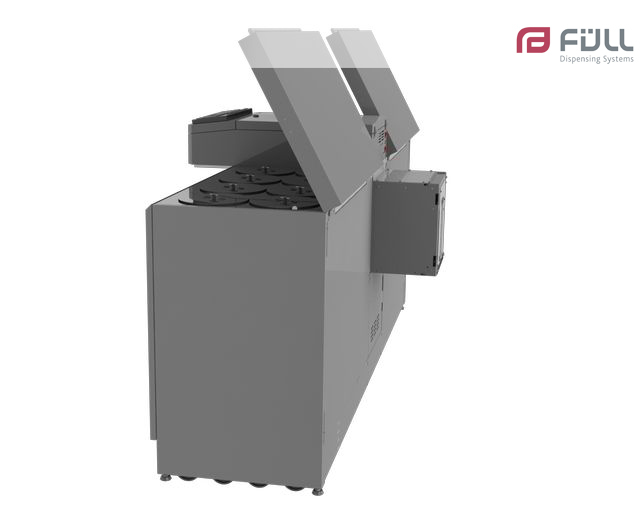 With its compact and modular design the FS XS is ideal where space is limited. 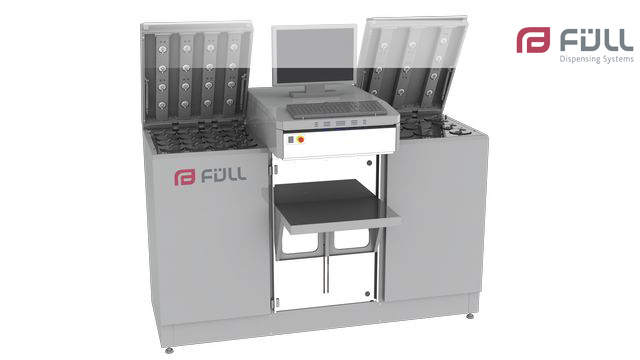 The dispensing process is controlled via PLC and our dispensing-software CALIPSOPRO . 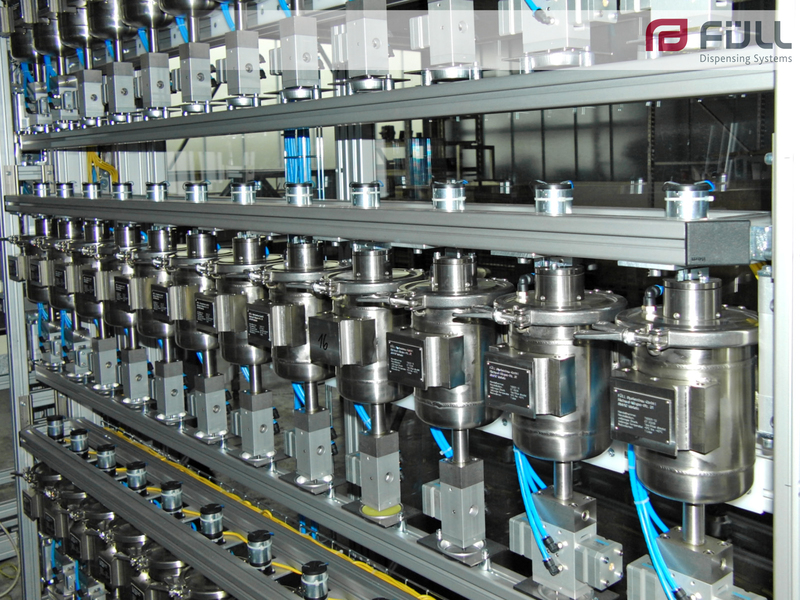 You develop, optimise and correct receipes, store dozens of basic components and you do all of these works manually? 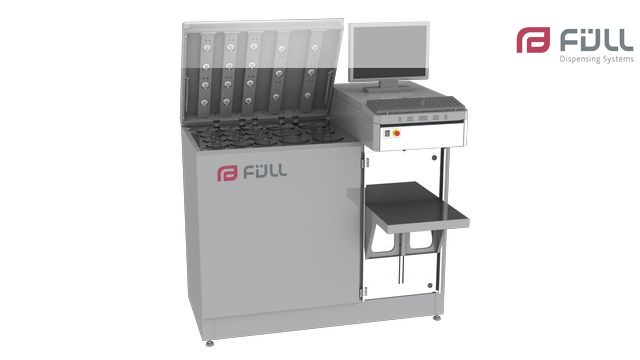 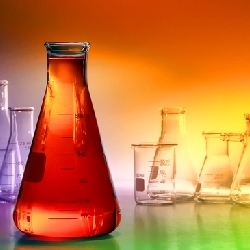 Then you should consider to leave the manual work to our laboratory dispensing centre; Because this way capacitys for the more important processing will be freed. 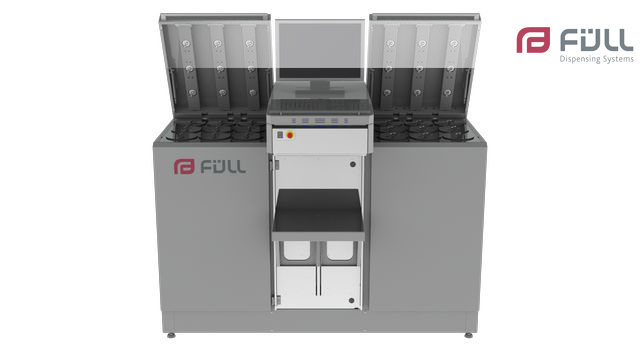 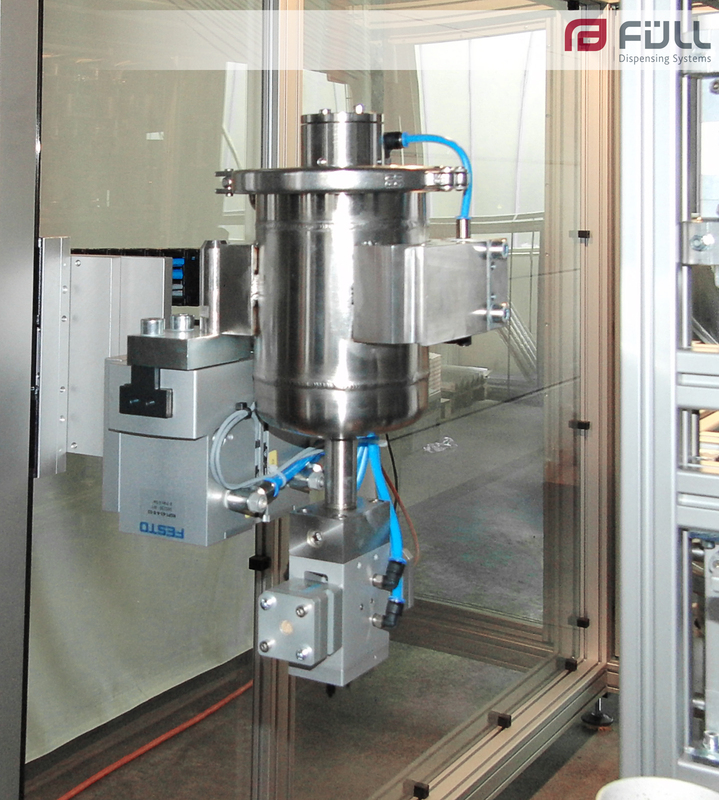 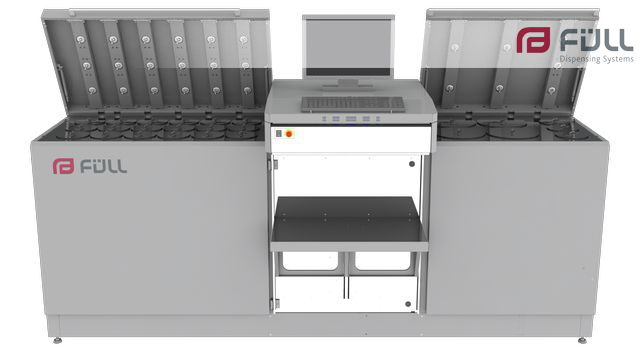 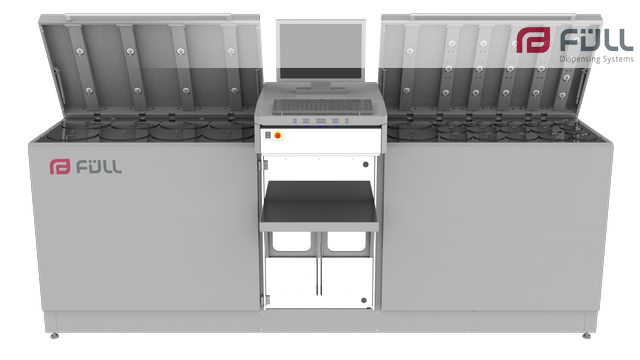 The laboratory dispensing centre can be smoothly integrated into your lab and production processes – you define the final degree of automation. 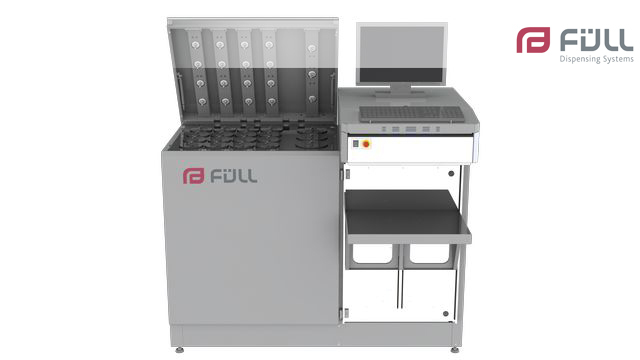 The FS 2005 and FS 182 application range is very diverse and depends on the numbers, the mass fl ow and the physical properties of the components that need to be dispensed. 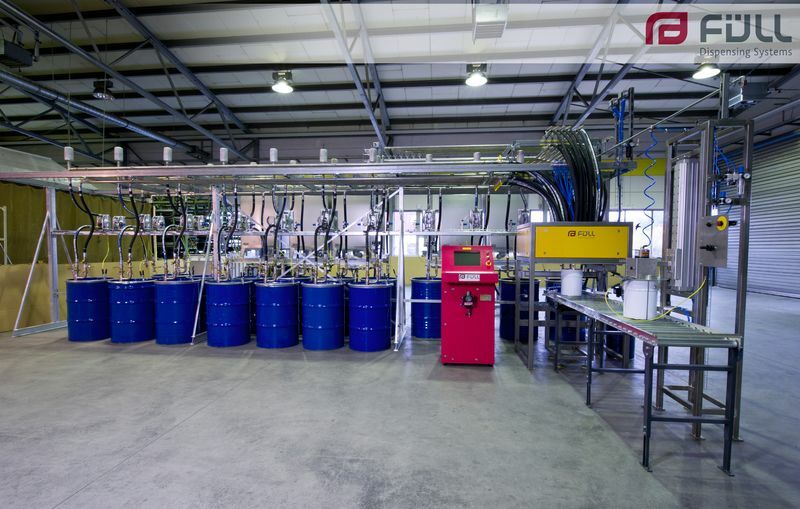 Typical applications would be for manufacturers of paints, additives and printing inks, medium and large packaging companies etc. 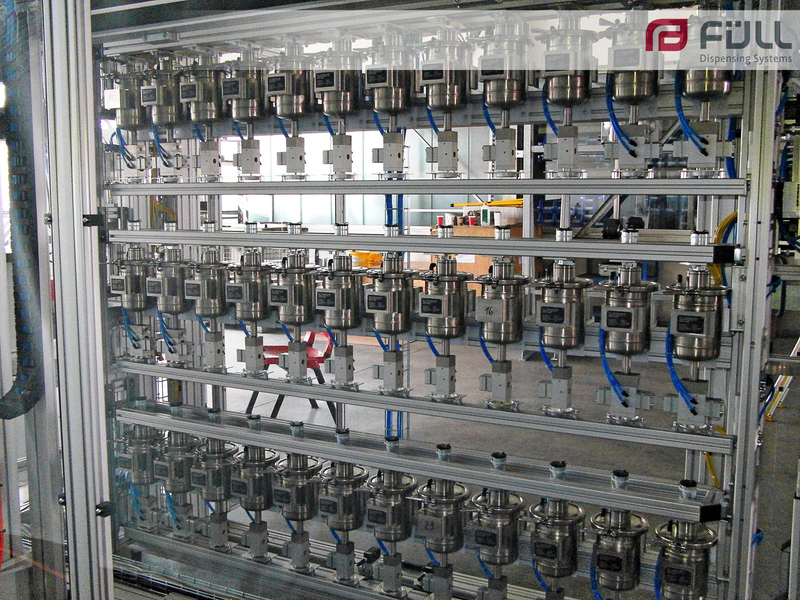 They are suitable for water-, solvent- and UV-based products and cover high output per year but also the need to dispense into small cans. 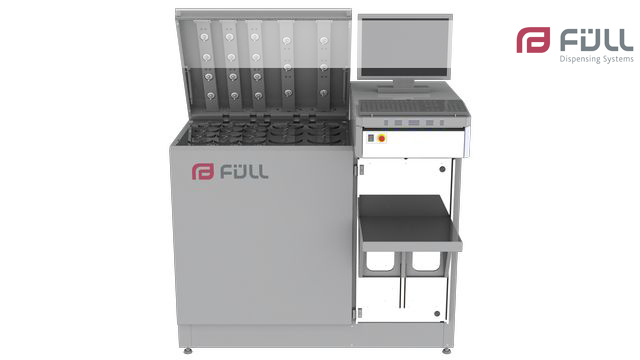 In order to account for different repeatability requirements and dispensing container sizes they can be equipped with several scales or our volumetric dispenser HX5. 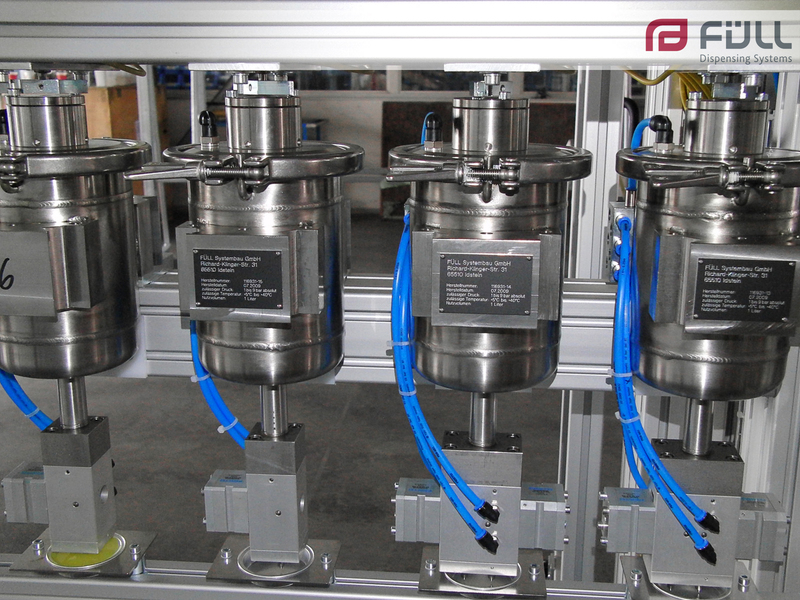 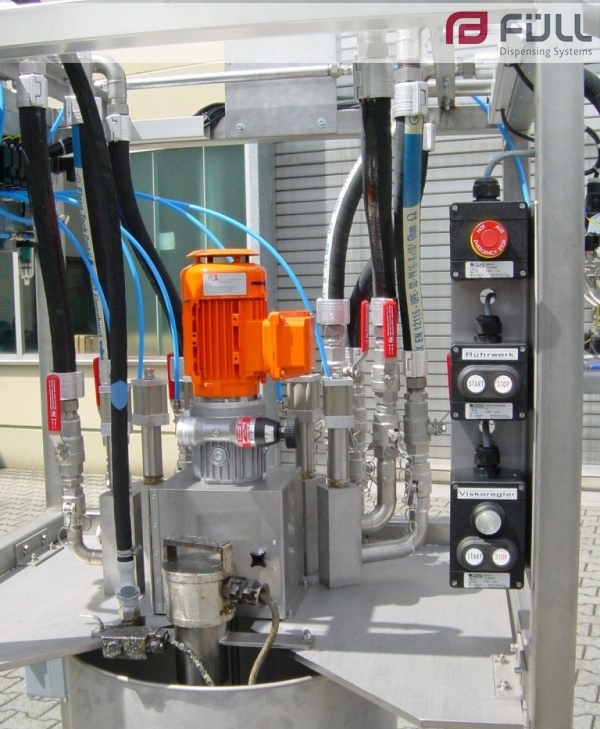 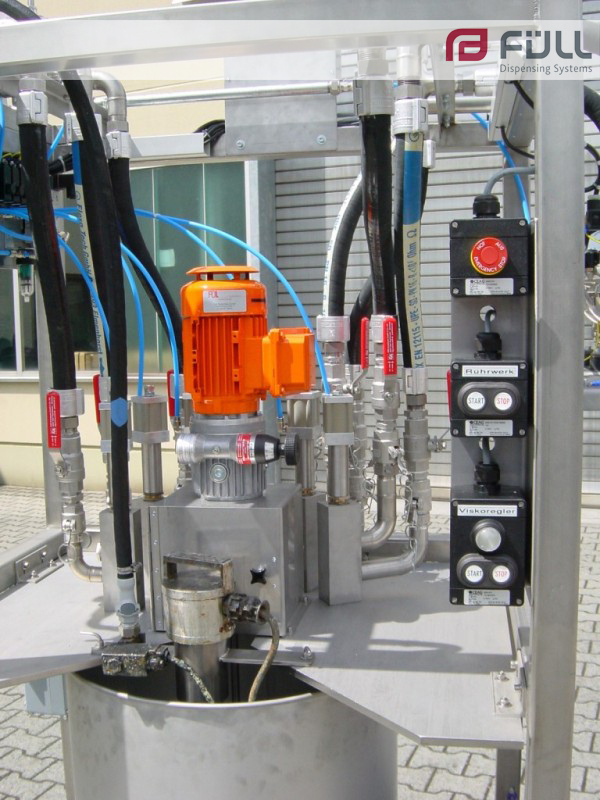 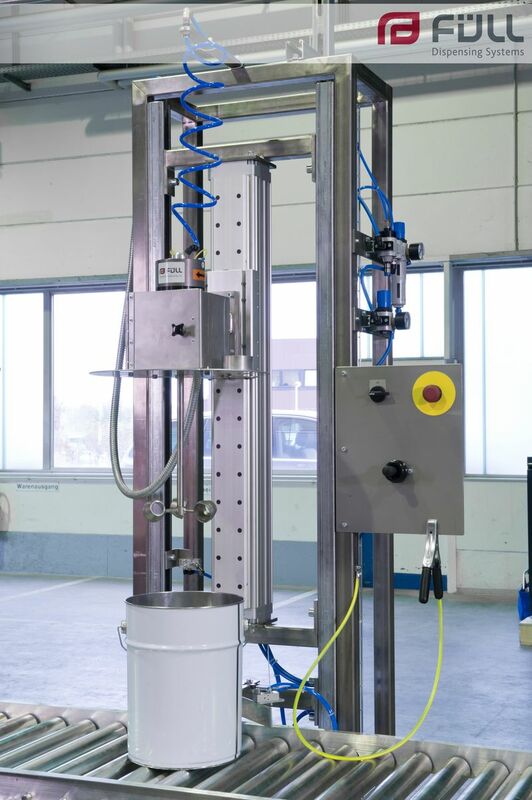 The FS 188 is our special construction series for batch or continuous supply of formulations. 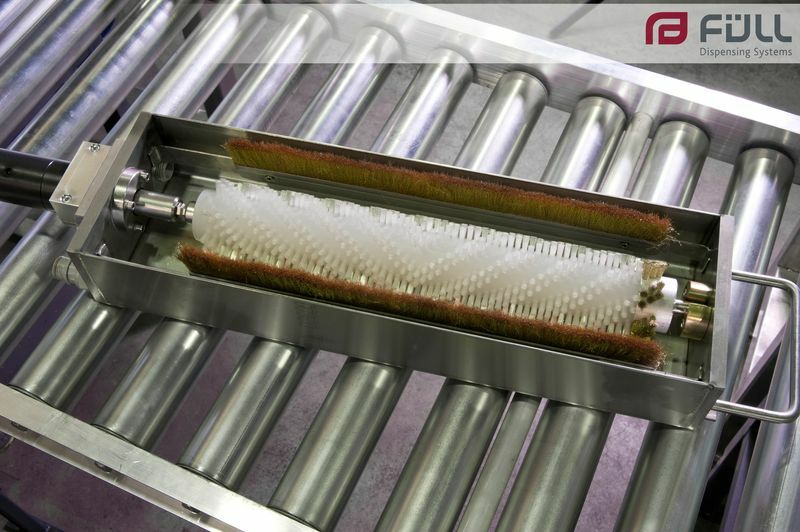 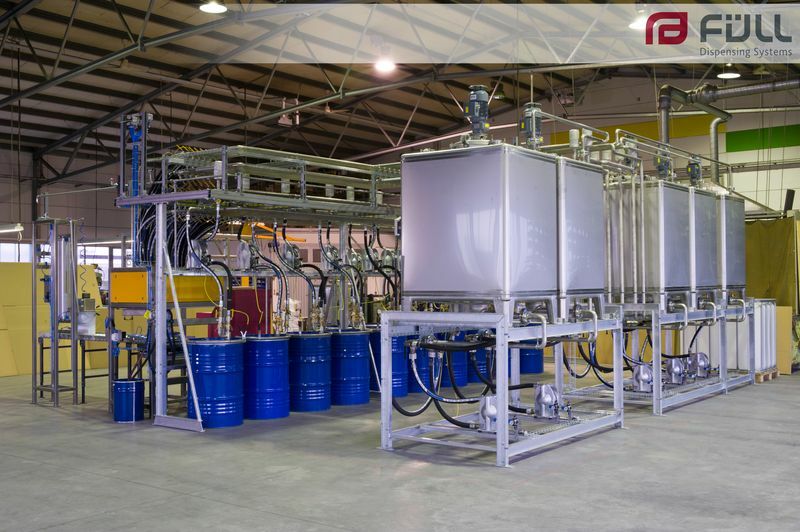 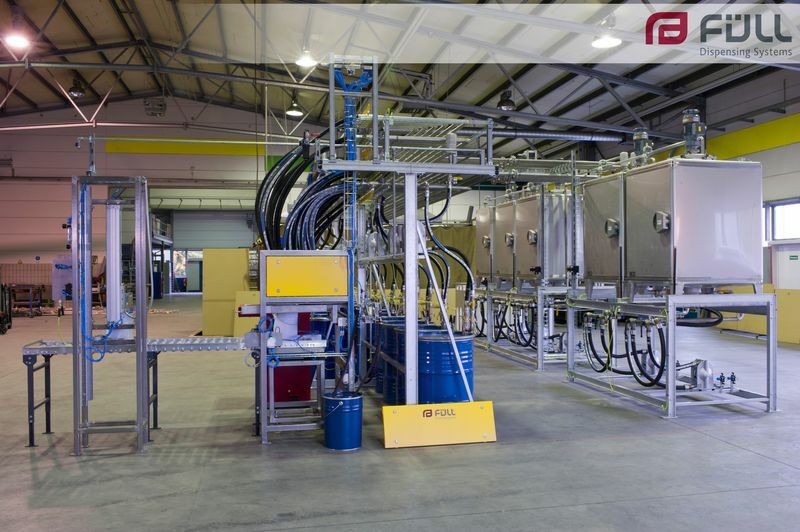 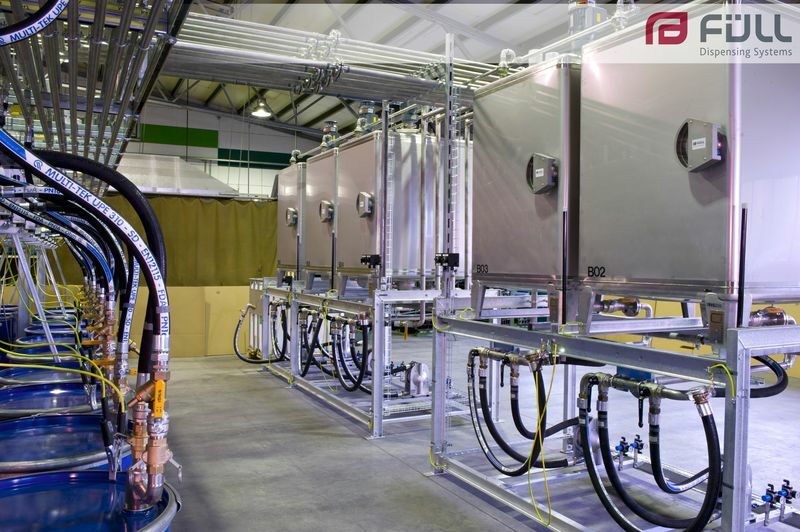 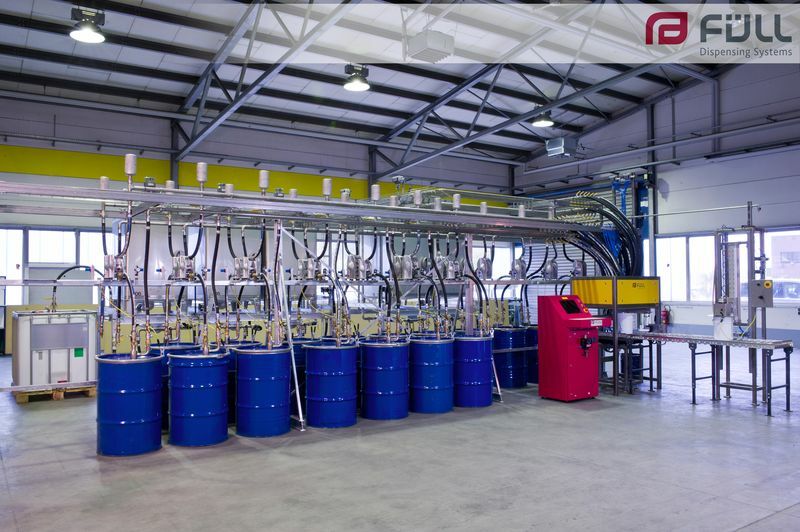 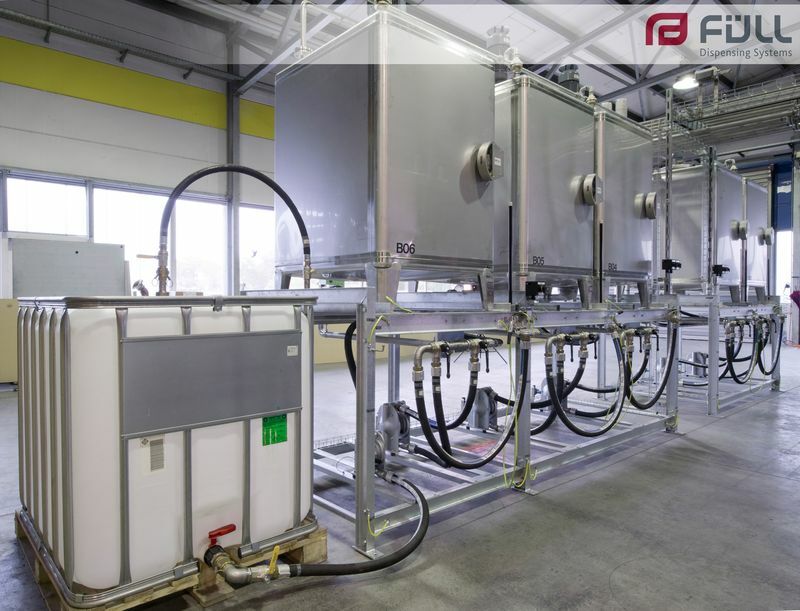 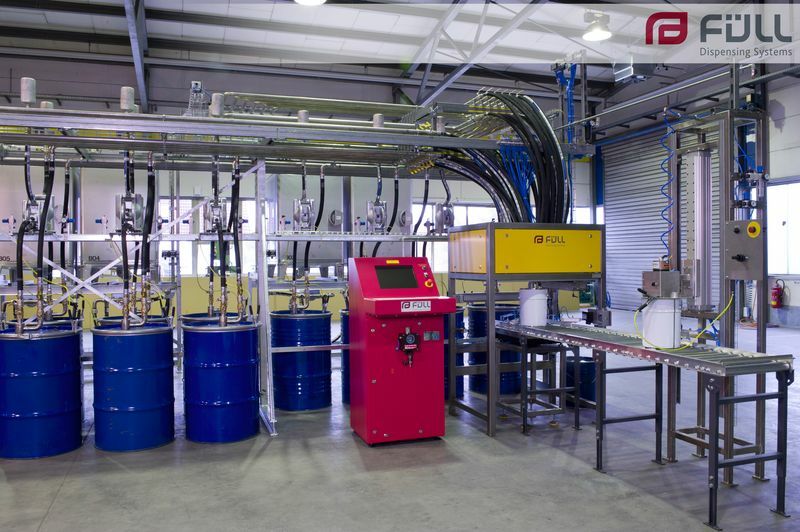 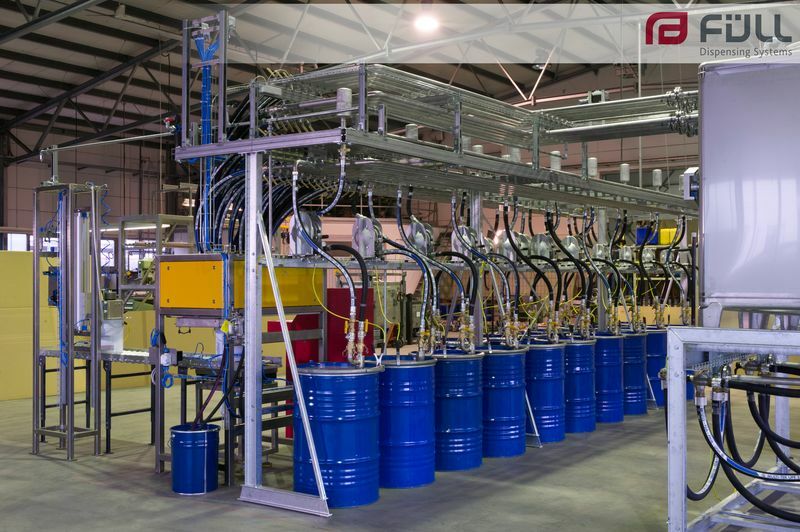 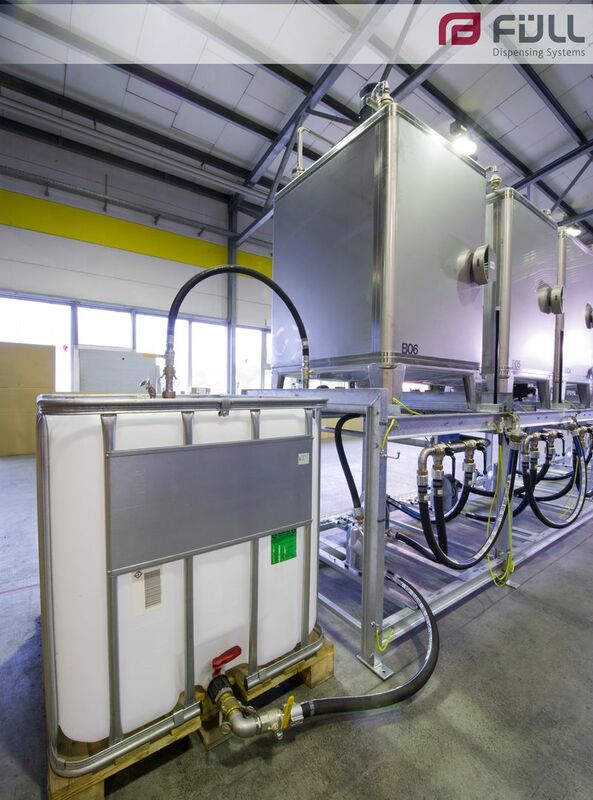 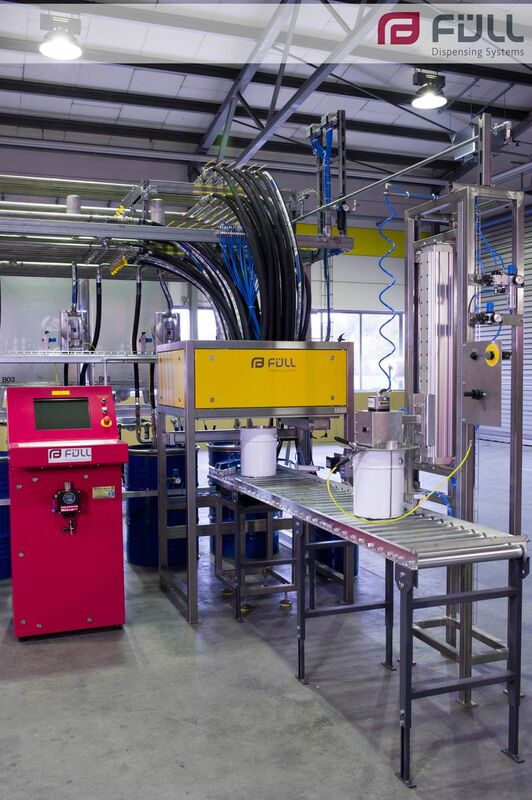 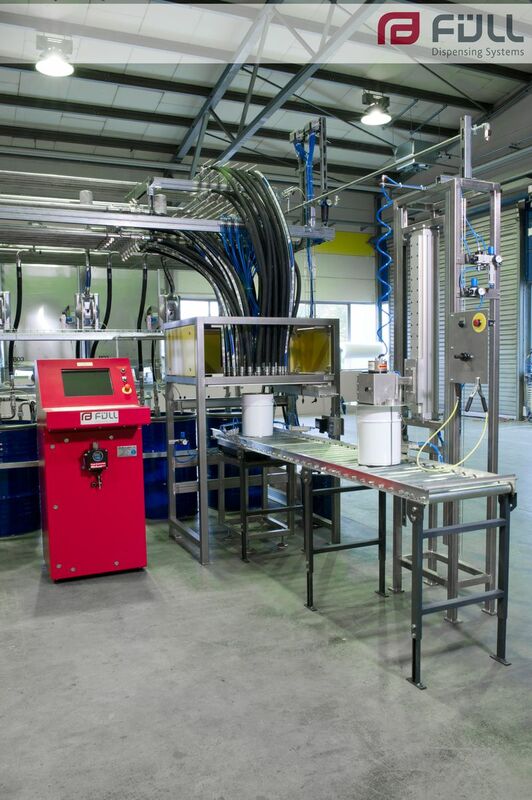 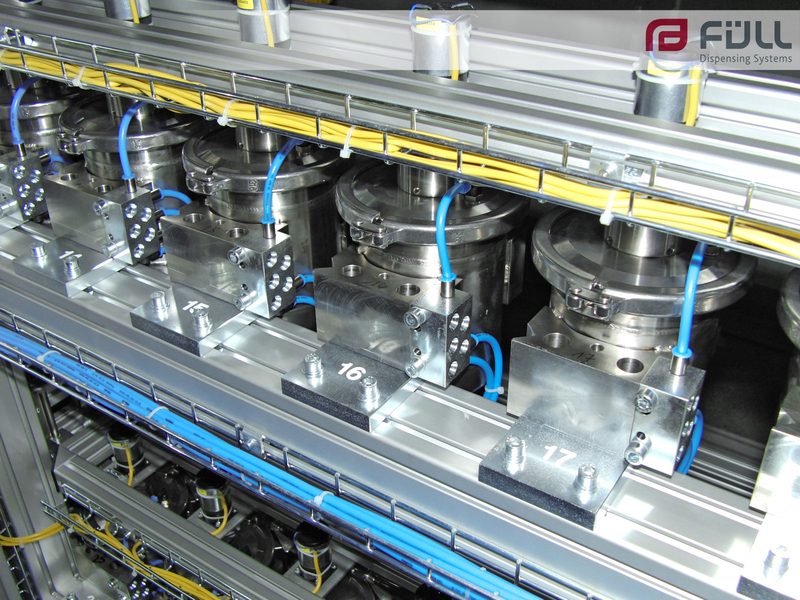 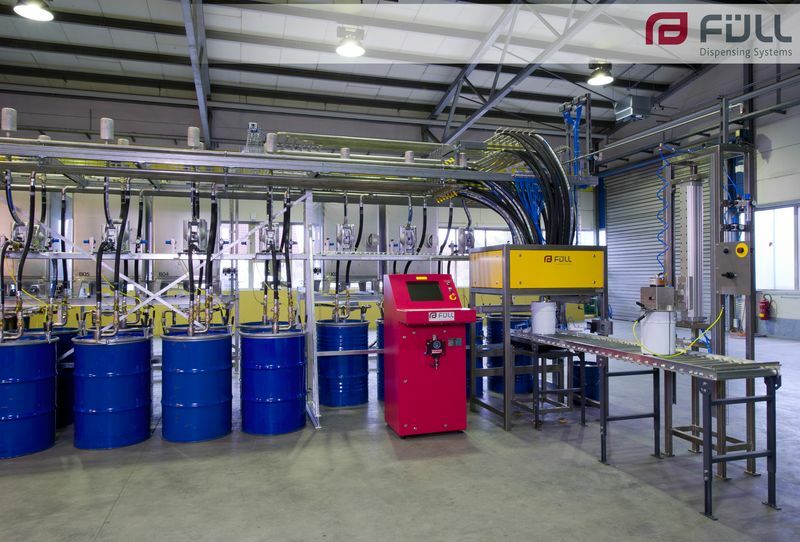 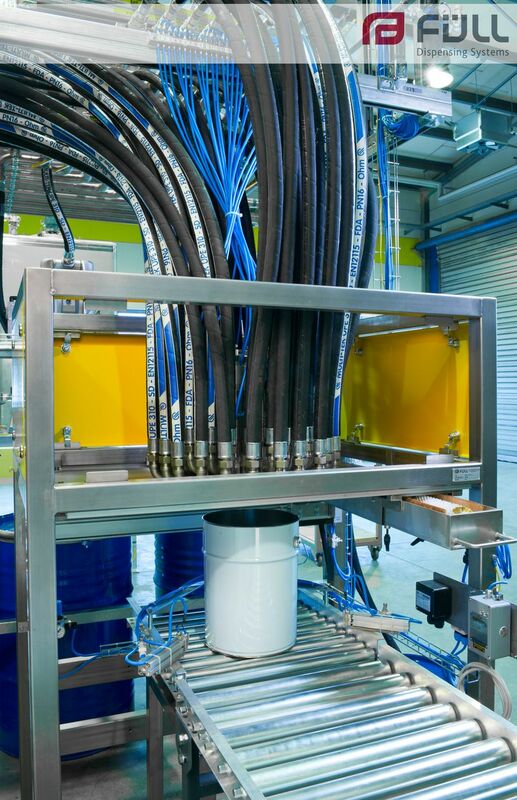 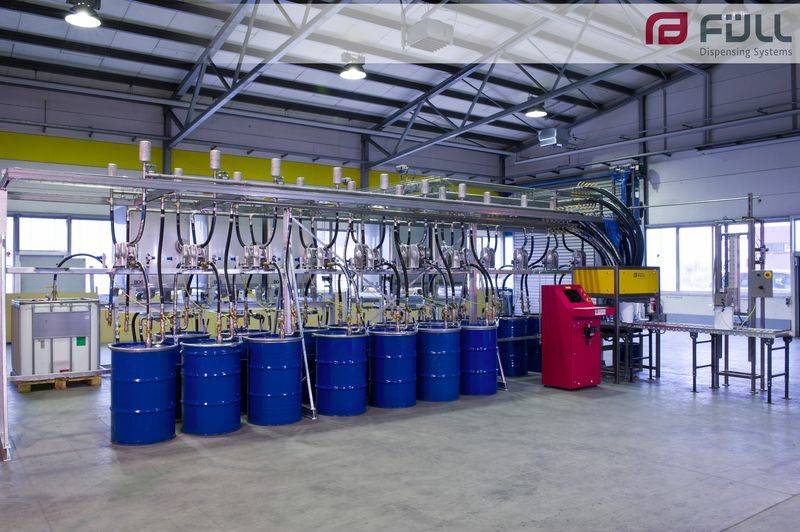 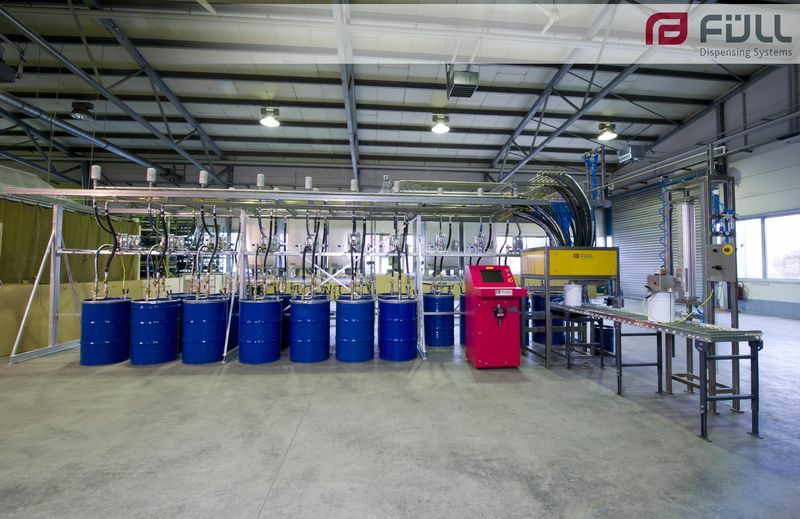 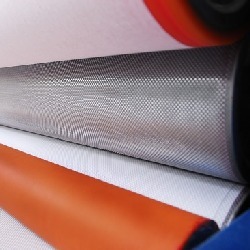 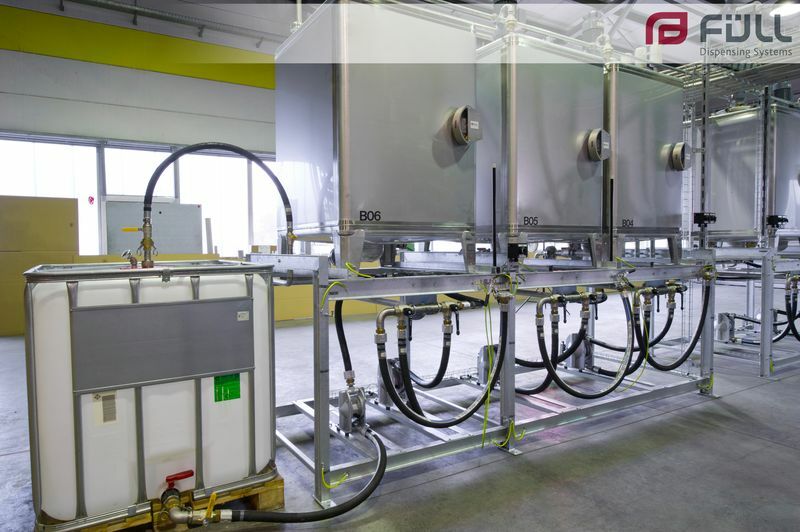 It is used where reactive and other components have to be dispensed (and possibly simultaneously agitated) and then supplied to a subsequent process, e. g. lamination machines, dip tanks, curtain coaters etc. 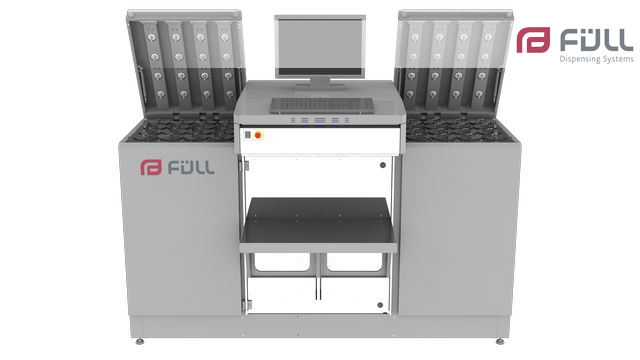 In order to account for repeatability and traceability mass is the measurand; either by means of scales or mass fl ow meters. 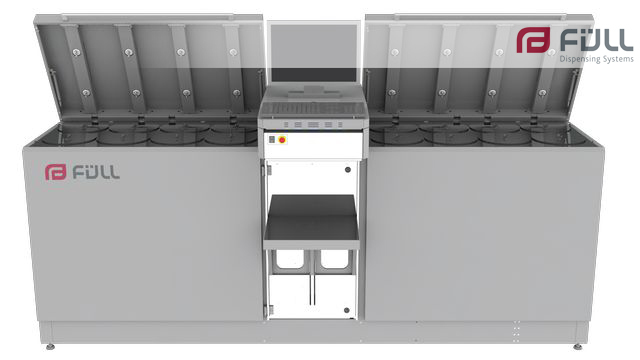 Contrary to the VX5, the UVX5 is designed for dispensing UV curing components. 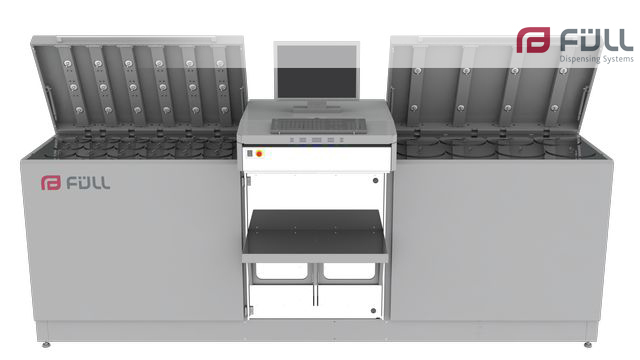 Also for the UVX5 counts: We customize it to fit your needs perfectly. 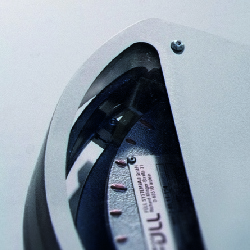 Also for the VX5 counts: We customize it to fit your needs perfectly.